If you do not see your dental insurance listed, please call our friendly staff to verify your benefits. We are not currently a preferred provider for Metlife or Principal but will file claims on your behalf. To offset any increases in your out-of-pocket expenses, we will offer a 20% discount to patients with these insurance plans. On average, this discount allows us to offer a lower out-of-pocket expense as compared to a preferred provider. Premier Dental strives to make dental care affordable and convenient. With highly competitive fees for the area, we can help maximize your yearly insurance benefits and keep your out-of-pocket portion to a minimum. 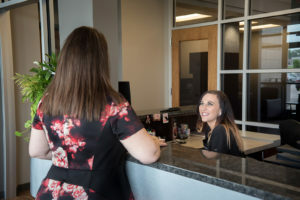 Our friendly staff will verify your insurance benefits and estimate the portion that will be owed by you and your insurance before any procedure occurs. We do not like financial surprises and we know that you do not either. We do expect payment the day of service for all treatment. For your convenience, we accept all major credit cards, health savings accounts, cash, and checks. Also, for out-of-pocket treatment plans over $200, we offer CareCredit to help finance treatment. CareCredit is an interest-free health expense credit card that allows you to spread payments out over one year. This enables you to get the care that you need without wrecking your budget. Visit CareCredit to Apply Today!